Transsion Holdings’ smartphone brand itel has launched a new smartphone itel A62 in India as promised. The highlights of the budget smartphone include an 18:9 display, dual rear cameras, face unlock, and Android 8.1 Oreo. 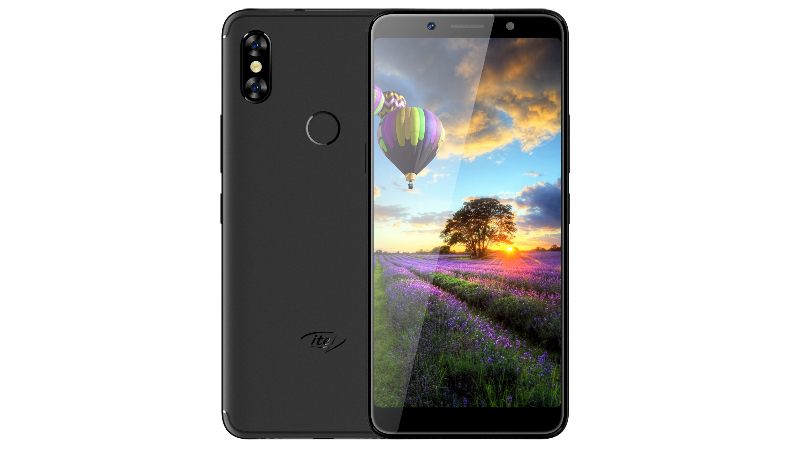 itel launched three budget phones earlier this year with 18:9 display. Now, the latest budget phone from the company also sports dual rear camera as well. The itel A62 sports a 5.65-inch HD+ IPS display with 18:9 aspect ratio. It runs on Android 8.1 Oreo OS and is powered by a MediaTek MT6739WA processor paired with 2GB of RAM and 16GB storage with an option to expand it up to 128GB via microSD. Coming to the camera, the smartphone includes a vertical dual rear camera setup with a 13MP primary sensor and a secondary VGA sensor. The autofocus rear camera also has features like portrait mode, bokeh mode, pano mode, and low-light mode. There is a 5-megapixel front-facing camera with flash support. Connectivity options on the smartphone include 4G VoLTE, USB OTG, Bluetooth, WiFi and more. The smartphone supports Face Unlock feature and also comes with a multi-functional fingerprint sensor. It packs a 3000mAh battery. The itel A62 has been priced at Rs. 7,499. It comes in Black, Champagne, and Red color options. The phone will be available via offline retailers as well as online channels across the country starting today.